DO NOT COPY POST OR REUSE. 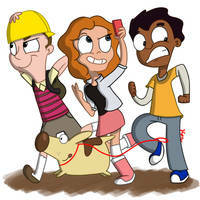 See Al and Dan's twitters/intagram to like drawing there if you'd like, besides my tumblr, twitter and deviantart. Another One Rides The Bus! It's My World, and we're all living in it! Every time I listen to a Weird Al parody, I now automatically think of Milo. It feels like every character that Weird Al voices always has to play the accordion. I love Weird Al, and I love this! No you can't read my polka face. YES! 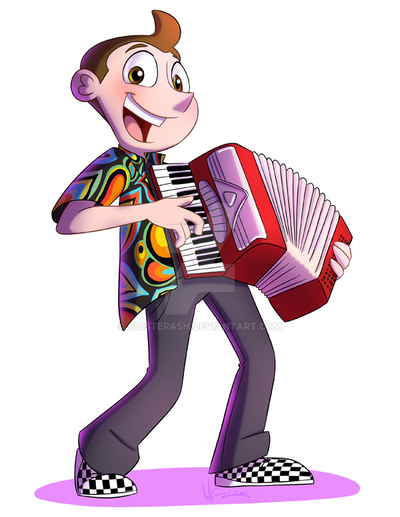 GIVE MILO AN ACCORDION~!! U did act ur age now ur doing an entire series, man ur good! Weird Al would love this! He's my favorite singer! I can't wait to see it!!! I'm sure it won't disappoint! Sorry didn't mean to post cool multiple times! The show is gonna ROCK. Milo as Weird Al! That is just awesome! That must have been awesome experience.